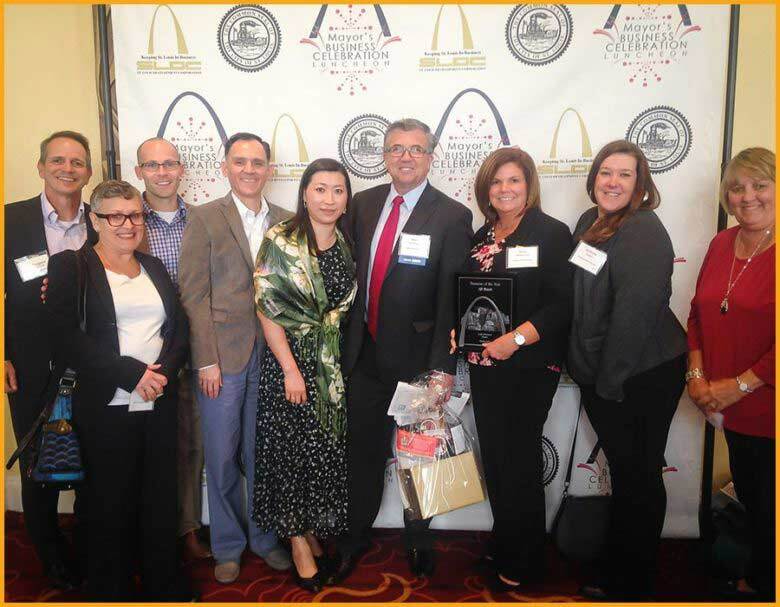 ST. LOUIS (Oct. 17, 2017) – AB Mauri® North America, a leader in yeast and bakery ingredient products and solutions, was one of eight companies named Business of the Year by St. Louis Mayor Lyda Krewson. The award was presented Friday, Oct. 13, 2017, at the 15th-annual Mayor’s Business Celebration Luncheon. More than 1,000 executives, business owners and civic leaders from across the St. Louis area attended the event. The City of St. Louis Business Celebration Luncheon began in 2002 as a way to thank and recognize the business community in the City of St. Louis. During the annual event – co-hosted by the St. Louis Development Corporation, the city’s economic development arm – the mayor presents awards to businesses for their unique commitment and achievements benefiting the City of St. Louis. In 2015, AB Mauri relocated the company’s North American headquarters from suburban St. Louis to Cortex, the city’s innovation and technology district. The company’s 23,000 square-foot office in the @4240 complex features a 5,000 square-foot bakingHUB and pilot fermentation facility, where AB Mauri food scientists and customers create a wide range of finished baked goods for trial and testing purposes. 70 AB Mauri team members from 15 different countries work at the St. Louis office. AB Mauri is a baking technology company delivering superior technical service and high-quality yeast and bakery ingredient solutions to North American bakers. Commercial bakers in need of a total resource for quality ingredients, process optimization, and customized solutions rely on AB Mauri. AB Mauri North America has three yeast-production facilities, located in Memphis, Tennessee, Calgary, Alberta, and Montreal, Quebec; three bakery ingredient manufacturing sites, located in Greenville, Texas, Wilsonville, Oregon, and Cedar Rapids, Iowa; and regional headquarters, a bakingHUB™ research bakery and fermentation-science laboratory, located in St. Louis, Missouri. More information is available at www.abmna.com or by calling 1.800.772.3971.